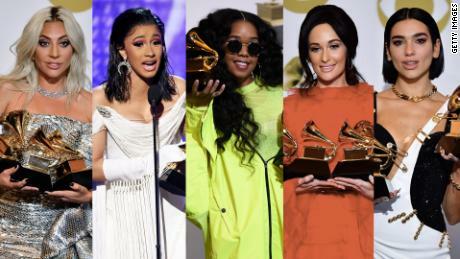 The 61st annual Grammy awards ceremony took place Sunday evening (February 10th) as 15-Grammy winner Alicia Keys hosted an evening in which music’s best gathered in Los Angeles’s STAPLES Center to receive the industry’s highest honors. Naturally, hip-hop’s dominations prevailed with Kendrick Lamar, Cardi, Childish Gambino and Drake leading the group of nominees with Kendrick topping everyone with eight total nominations. Drake followed closely behind with seven as both men competed for titles that included Album of The Year, Record of The Year, Best Rap Song and Best Rap Performance.